The MBB is a senior executive usually in director level. Traditionally, the role of a Master Black Belt has evolved from a technical expert of Six Sigma, a tutor of internal BB and GB courses and a coach of BB projects, into a gold miner who unveils concealed gold mine so that the business can be expanded with existing resources. 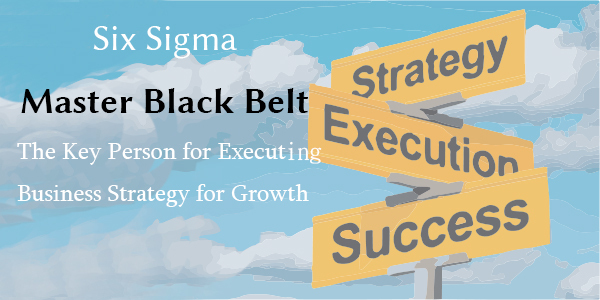 To enable a Master Black Belt to fulfil this new role, SSI’s MBB programme incorporates the latest development of Six Sigma approach – The TOCLSS. This is an integrated approach of Theory of Constraints, Lean and Six Sigma. The TOCLSS is a unique technique developed by SSI’s strategic partner, SBTI-HK, based on their global consultancy experience. It is proven to be effective to elevate substantial company profit in a short time. This seminar is to introduce the newly important role of MBB. Ir. Dr. Y.K. Chan, Doctor of Engineering (Warwick), Doctor of Management (IMC/USC), Post Doctoral (Oxford), Registered Professional Engineer, Registered Six Sigma Master Black Belt, Certified Six Sigma Black Belt Teacher, Registered Lean Specialist, Certified Theory of Constraints Practitioner. 30 years of experience in both manufacturing and servicing industries. Led 100 Lean Sigma projects and trained over 5,000 Six Sigma professionals. Dr. Chan is an Industrial Fellow of the University of Warwick and Visiting Professor of Beijing Normal University (北京師範大學).